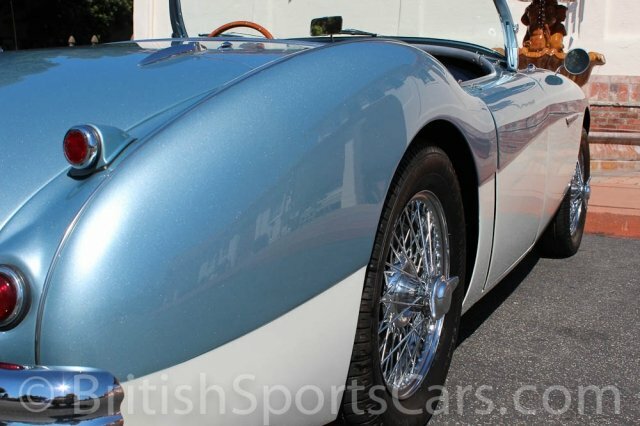 You are looking at a gorgeous, fully-restored Austin-Healey 100/4 BN2 that is equipped with an M conversion. This is a car we restored several years ago, and we converted the car to LeMans specifications at our client's request. We fully rebuilt the engine to M specification and the car has less than 1000 miles since the work was completed. The paint and body on this car is very nice and smooth. The car has no rust and shows no signs of major accident damage. It runs and drives just as good as it looks and sounds fantastic with the LeMans exhaust system. Please feel free to contact us with any questions you have.